One of the purposes behind the Love and Forgiveness Project is to highlight the impact that one person can make. Mahatma Gandhi is one such person who made a monumental contribution in the areas of love and forgiveness. 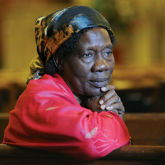 Father Xavier-Arnauld Fagba is a notable example of a leader who lives out love and forgiveness in the face of trials. As the leader of a Catholic congregation in the Central African Republic town of Boali, Father Fagba has had plenty of opportunities to decide whether to encourage peace or revenge. Dr. Mohamed Mouldi Kefi is a retired diplomat and Tunisia’s Minister of Foreign Affairs during the transitional government of 2011. D.r Kefi is an experienced diplomat with several years of experience in foreign service; he was recalled 5 years after retirement to assist in Tunisia reconciliation effort after the 2011 revolution. 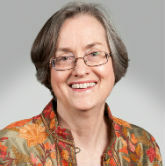 One of the most notable leaders of the American Civil Rights Movement and the U.S. Representative for Georgia’s 5th congressional district. 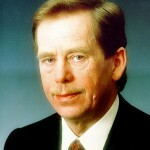 Right from youth, Lewis subscribed to the philosophy, which considered suffering as redemptive. Jaber is a Palestinian refugee, in the Gaza Strip and one of the most truly remarkable people I have ever encountered. I first got to know him in 2004 when I moved to Gaza. His story, in many ways, is a typical Palestinian one. His mother and father were refugees from Palestine, fleeing in the 1948 war. 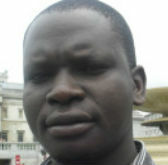 Jaber was educated in the refugee camps, after his graduation, he worked as a physics teacher of physics teacher in Cairo. He later became active in leftist political struggles in both Palestine and Egypt. Dr. Ahmed bin Mohammed Al-Salem is the Undersecretary of the Ministry of Interior, Saudi Arabia. In his position, he exhibited love for his country nationals and immigrants. 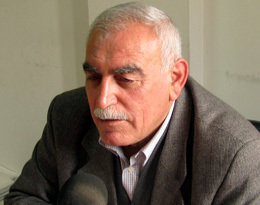 Bassam Aramin is a Palestinian peace activist and president of the Al Quds Association for Democracy and Dialogue. He was a former Fatah militant imprisoned for seven years for an attack on an Israeli Army jeep. 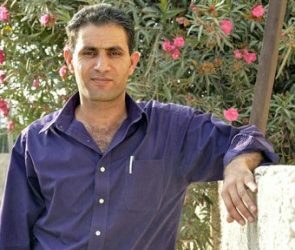 His 10-year-old daughter, Abir, was killed on January 16, 2007, by an Israeli soldier on her way home from school. However, Aramin did not want revenge; all he asked for was justice. Nguyen Van Thuan was born into a prominent Vietnamese family with a long Catholic tradition. His relatives were among the Vietnamese martyrs since l698, including the assassinated Vietnam leader, President Diem. Father Van Thuan had premonition that he would suffer martyrdom just like his relatives, therefore his arrest and imprisonment by the communist regime did not come as a surprise. 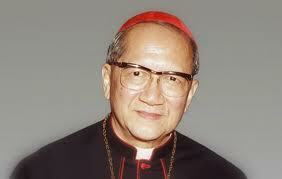 However, while Thuan was in prison, his jailers asked him why he was usually so happy and he replied, ”Because I have faith in my God.” Father Van Thuan was appointed the president of the Pontifical Council for Justice and Peace and was subsequently elevated to Cardinal in 2001 by Pope John Paul II. 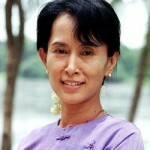 Aung San Suu Kyi is a human rights activist and politician from Burma. The daughter of the de facto prime minister of British Burma, who was assassinated in 1947, Aung studied abroad in her early years, obtaining a bachelors degree from the University of Oxford in 1969.